Oregon is home to one of the largest and most robust networks of electric vehicle fast-charging stations in the U.S. And in between the many EV charging stations are scenic routes dotted with environmentally friendly businesses — hotels, spas, wineries, breweries and restaurants. So while you’re busy practicing sustainable travel along the woodsy back roads of Oregon, stop by an charming landmark and charge your car. Driving an electric car through Oregon definitely has its perks. There’s simply no better way to experience the Oregon Coast than to see all 363 gorgeous miles of it by traveling the Oregon Coast Electric Byway. 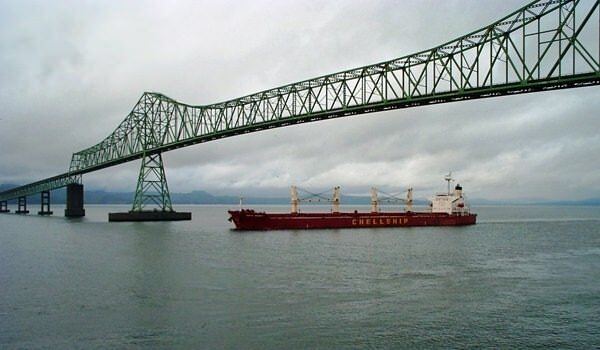 This three-day tour starts in Portland and heads north to Astoria before turning south to pass through dozens of quaint coastal communities all the way to Brookings. From the Oregon Islands National Wildlife Refuge site in Cannon Beach to 40 miles of sweeping dunes south of Florence and the rugged sea stacks near Bandon, this route shows the dramatic beauty of the coastline here, all free and open to the public. Experience each town’s distinct flavor — the old maritime feel of Astoria, the fishing docks in Newport and the charming storefronts of Old Town Bandon. Outdoor recreation knows no bounds here. You can choose from hiking and beach combing to seasonal whale watching, fat biking, fishing and paddling. The craft beer scene stretches from Wet Dog Café and Brewery in Astoria and Brewer’s on the Bay in Newport to 7 Devils Brewing Company in Coos Bay and Chetco Brewing Company in Brookings. Get a taste of coastal flavors from Sleepy Monk Coffee in Cannon Beach and award-winning cheese at Face Rock Creamery or sweet delights at Coastal Mist chocolatier, both in Bandon. Towns up and down the route compete for the hearts of foodies with creamy chowders, tasty fish tacos and fresh catch of the day. Electric vehicle charging stations are located in Portland, Scappoose, Westport, Astoria, Cannon Beach, Tillamook, Lincoln City, Newport, Yachats, Florence, Reedsport, Coos Bay, Port Orford and Brookings. Following the mighty Columbia River as it rolls to the Pacific Ocean, the North Coast Electric Byway reveals Oregon’s magnificent coastal beauty. This loop travels north from Portland through Scappoose and out to Astoria before heading south along the ocean through the towns of Seaside, Cannon Beach, Tillamook, Pacific City and Lincoln City. 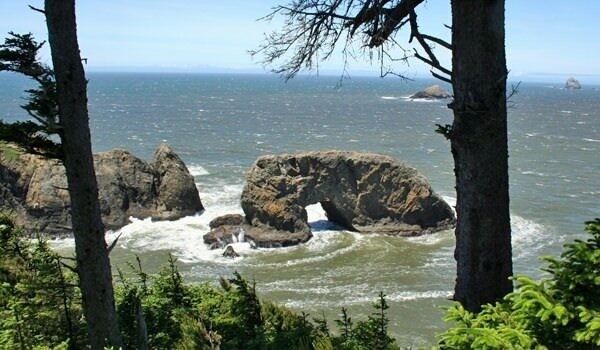 From the tremendous span of the Astoria-Megler Bridge and the shipwrecked Peter Iredale to the lighthouses, sea stacks and open beaches, you’ll find the Coast’s most iconic features on display. Astoria’s Victorian neighborhoods and steep streets carry echoes of its 19th-century roots as a trading outpost, while Cannon Beach’s art galleries and boutiques transmit a more modern vibe. Seaside’s promenade, Pacific City’s towering sand dune and the sweeping beaches at Lincoln City are all perfect for kicking off your shoes, and digging your toes into the soft sand. Outdoor enthusiasts can choose from paddling with water birds in Scappoose, catching a wave in Pacific City or hiking to a stunning viewpoint at Cape Lookout. The North Coast brews up some of Oregon’s finest craft beer at Fort George Brewery + Public House, Seaside Brewing Company and Pelican Brewing with outposts in Tillamook and Pacific City. Meanwhile, the Cannon Beach Distillery draws spirit fanatics from around the world for its small-batch, hand-crafted rum, gin and whiskey. Electric-vehicle charging stations are located in Portland, Scappoose, Westport, Astoria, Cannon Beach, Tillamook and Lincoln City. Winding around the flanks of Oregon’s tallest mountain peak and through a National Scenic Area, the Mt. Hood and Columbia River Gorge Electric Byway is a journey into stunning natural beauty. The route starts in Portland and leads east through the mountain towns of Government Camp and the Villages of Mt. Hood before curving north through Hood River and Cascade Locks. 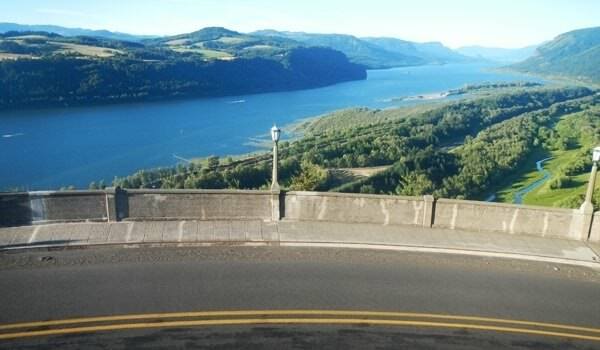 Driving along the Historic Columbia River Highway, you’ll catch awe-inspiring vistas of the Gorge, its steep sides carved out long ago by Ice Age floods, as well as thundering waterfalls and tremendous views of the Columbia River and Mt. Hood. Each of the friendly small towns along this route has its own distinguishing features — from historic Timberline Lodge in Government Camp and the charming downtown blocks in Hood River to the magnificent Bridge of the Gods in Cascade Locks. 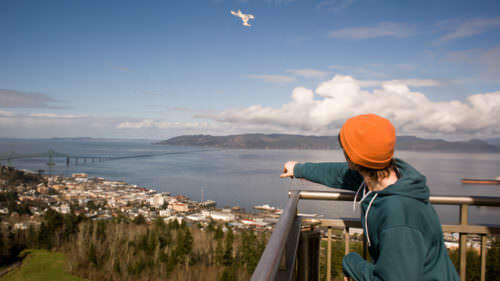 Outdoor recreation abounds here with dozens of hikes and world-class mountain biking trails. River lovers choose from sailing, SUP boarding, kiteboarding and windsurfing, while each of Mt. Hood’s four ski areas offers a unique specialty like night skiing, cosmic tubing or year-round riding. Oregon’s outstanding craft beer scene is well represented along the byway with Hood River’s Full Sail Brewing Company, one of the state’s oldest breweries, and newcomers such as Thunder Island Brewing Company in Cascade Locks. Hood River is home to the region’s first craft distillery, Camp 1805, as well as dozens of wineries, vineyards, orchards and farms along the Hood River County Fruit Loop. Electric vehicle charging stations are located in Portland, Welches, Government Camp, Hood River and Cascade Locks. The hidden beauty of Southern Oregon is one of the state’s best-kept secrets, home to the rushing rapids of the Wild and Scenic Rogue River, the azure waters of Crater Lake and the towering Siskiyou Mountains. 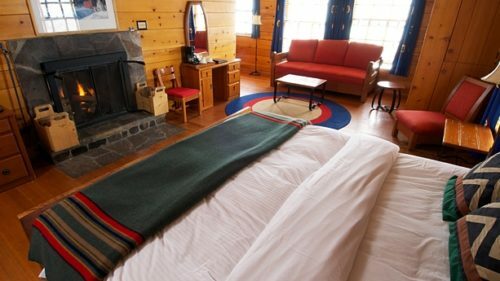 A recreational haven, this loop offers ample opportunity for mountain biking, white-water rafting, hiking and snowshoeing in the wintry forest — as well as a good dose of world-class arts and culture. The Southern Oregon Arts and Bounty Electric Byway travels in a loop through Ashland, Medford, Grants Pass and Jacksonville. You can experience a vibrant arts scene through the annual Ashland Independent Film Festival as well as the Oregon Shakespeare Festival, which stages 11 plays throughout the year, and at various art galleries around the region. The Britts Music and Arts Festival in Jacksonville keeps the music going all summer on an outdoor stage with world-class performances of classical, jazz, blues, bluegrass, pop and country music. 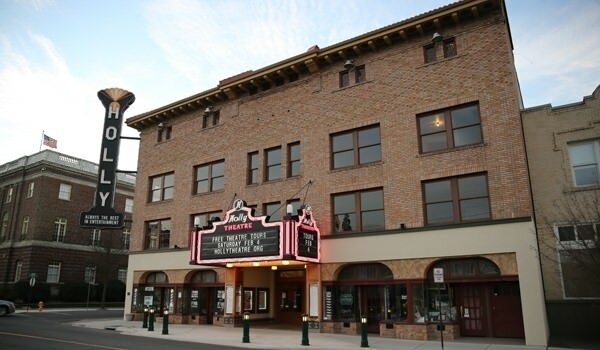 You’ll delight in ongoing live theater at Medford’s Craterian Theater at the Collier Center for the Performing Arts or in a behind-the-scenes tour of the renovation work at the Holly Theatre. 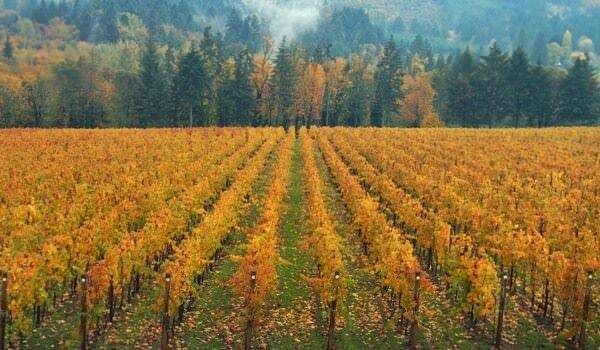 Oenophiles relish one of the oldest wine-growing locales in Oregon with tasting rooms like RoxyAnn Winery, Soloro Vineyard and Paschal Winery and Vineyard. Local vintages pair perfectly with the fare at New Sammy’s Cowboy Bistro, serving organic produce and locally farmed meats and artisan cheeses, as well as other local restaurants. Electric vehicle charging stations are located in Ashland, Medford and Grants Pass. 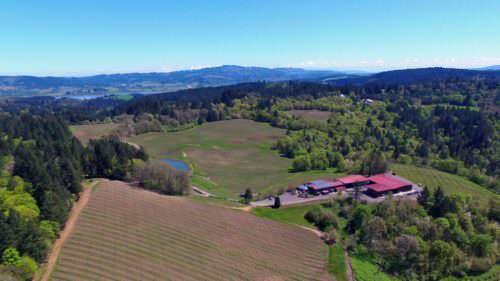 The Willamette Valley Bounty Electric Byway travels through the northernmost stretches of this fertile valley, a 150-mile-long swath of farms, orchards and vineyards born of the volcanic soils deposited here long ago. This loop begins in Portland and travels west through the charming towns of Newberg, Dundee, Dayton and McMinnville before circling back through the town of Banks. The tour leads through the oldest of the state’s 18 wine regions, offering a taste of the Willamette Valley’s more than 500 wineries and six sub-regions and an introduction to the place that launched the pinot noir revolution more than 40 years ago. Visit Erath Winery in Dundee to experience wines made from some of the first pinot noir grapes planted in the area. This tour reveals other firsts as well, like Sokol Blossor, the first LEED-certified winery in the nation, and Stoller Family Estate, the first LEED Gold certified winery in the country. The fine wines of the region are complemented by the farm-to-table cuisine here. At the Joel Palmer House, diners delight in a menu featuring wild-foraged mushrooms and truffles along with a tremendous cellar of carefully paired pinot noirs. Don’t miss the Carlton Winemakers Studio, offering the chance to taste the talents of 11 vintners under one roof. Discover French-inspired dining at Cuvee in Carlton and Bistro Maison in McMinnville and authentic Italian dishes at AgriVino, which also features unique lodging in converted grain silos. Electric-vehicle charging stations are located in Portland, Newberg, McMinnville and Banks. 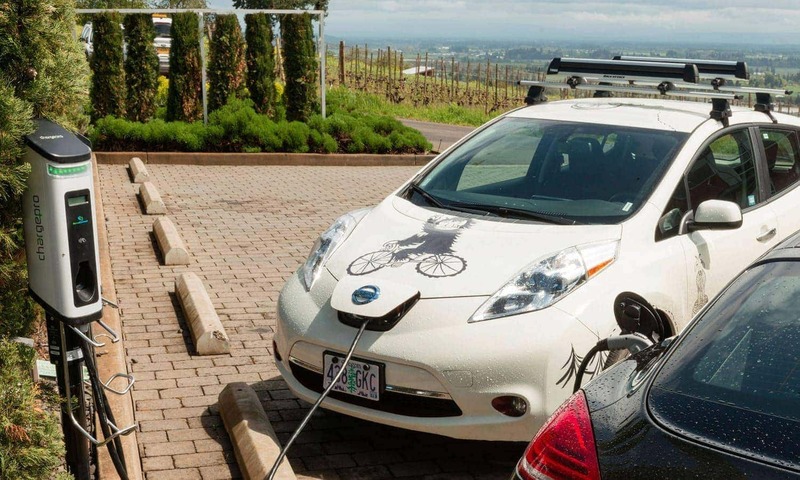 Level 2 EV charging stations can also be found at many of the wineries along this route as part of the Willamette Valley’s Plug & Pinot program, showcasing a commitment to sustainable travel. About 100 years ago, when wood was plentiful and steel in short supply, as many as 450 elegant wooden bridges spanned the rivers and waterways around Oregon. Today, only 50 remain, many of which are found in and around Lane County on the Covered Bridges Electric Byway. This daytrip travels through the towns of Eugene, Cottage Grove, Dorena, Dexter, Springfield and Veneta. 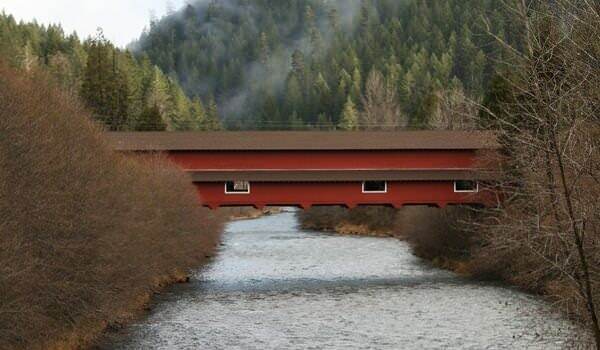 You can take in such delights as the Office Bridge, at 180 feet the longest of Oregon’s covered bridges, as well as the Lowell Bridge, the widest at 24 feet. Travelers can sample Oregon’s culinary bounty along the way at stops like Hop Valley Brewing Company in Springfield, King Estate Winery in Eugene and Our Daily Bread Restaurant in Veneta. Electric vehicle charging stations are located in Springfield, Veneta and Cottage Grove. Download the Oregon Electric Byways map and guide here. Don’t own an electric vehicle? You can rent an electric BMW i3 from ReachNow in Portland. Visit the ReachNow website for information about how to sign up and start driving. For the most up-to-date information about EV charging stations around Oregon, download the PlugShare app. This online resource provides real time detail about station locations and services as well as trip planning features.